For my September MadCatQuiltsBOM I modified a block I saw on CrazyMomQuilts. She uses it as part of her crossed canoe quilt, but mine came out a little more like a railroad spike. In these blocks I'm trying to bring in the colors and fabrics that I have chosen for this project. In the last few block, I am seeing where I need balance and contrast. I will try to incorporate these ideas as I go into the final stretch of the MCQBOM. Linking up with Kathy's Quilts and Slow Sunday Stitching. Here is my MadCatQuiltsBOM from way back in July. I started it that month but Summer's been rough and I just got around to finishing it recently. 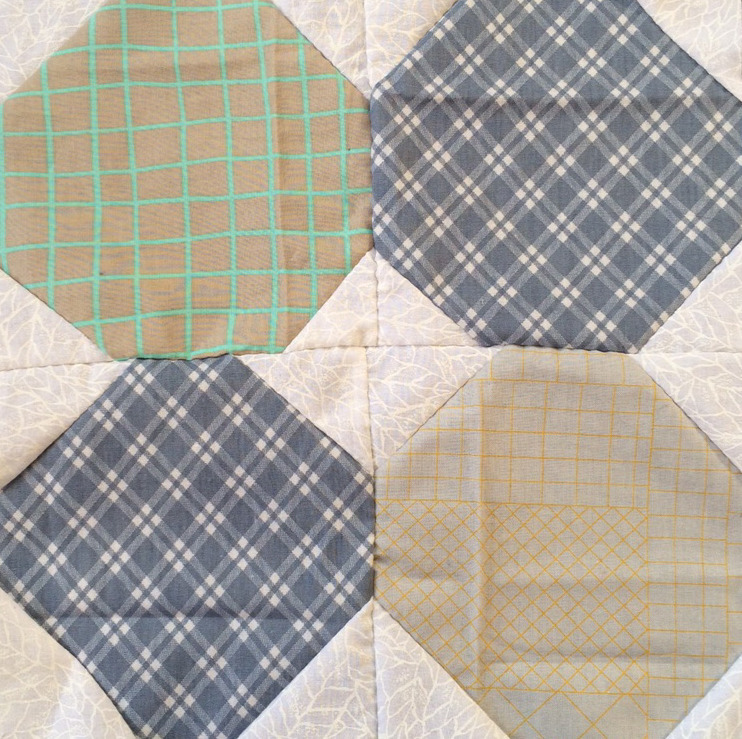 I have seen a lot of great equilateral triangle quilts but never attempted this block before. This is another block that is made tougher by using my no-measure technique. The triangles were definitely not equal, but they came out pretty interesting. I'm linking up with Kathy and Slow Stitching Sunday as well as Moving it Forward Monday over at Em's Scrapbag. I might have made a shoofly block before, I cant recall. But when I saw Luna Lovequilts version of this Candy shoofly variation I decided I needed to try it. 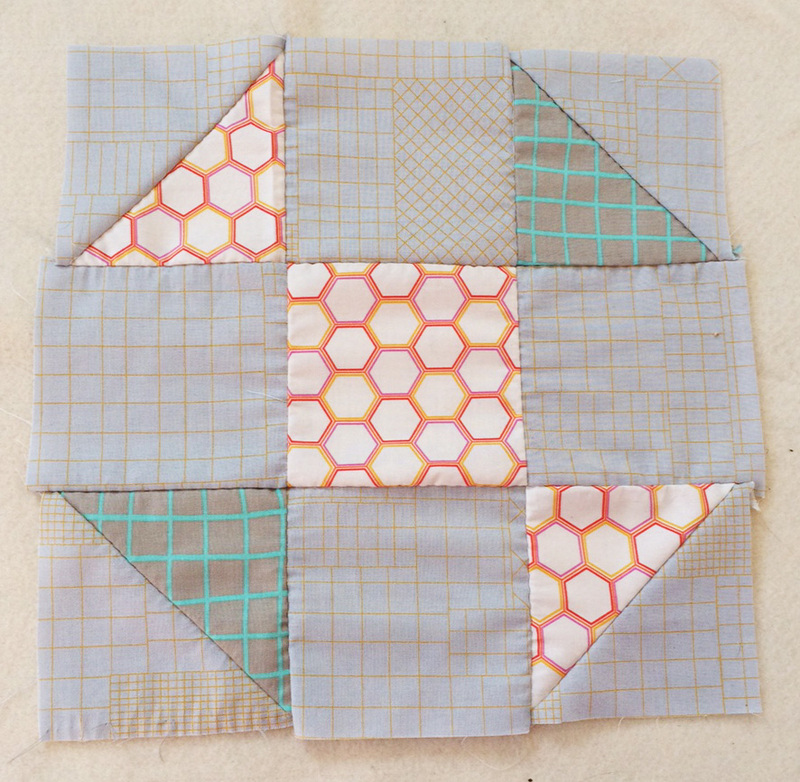 I checked out Blossom Heart Quilts for the Modern HST QAL that this block came from and it looks interesting. 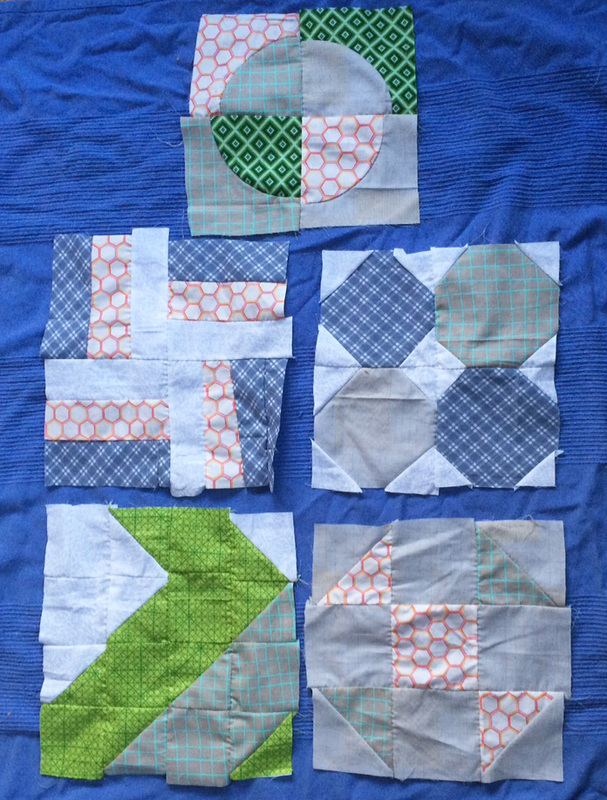 I don't think I'm going to join, but I will definitely keep my eye on the QAL for block inspiration! I used all fabric from my stash for this block. This was all new geometric patterned fabric that I got for xmas. I'm counting this as a post for Year of the Stash. 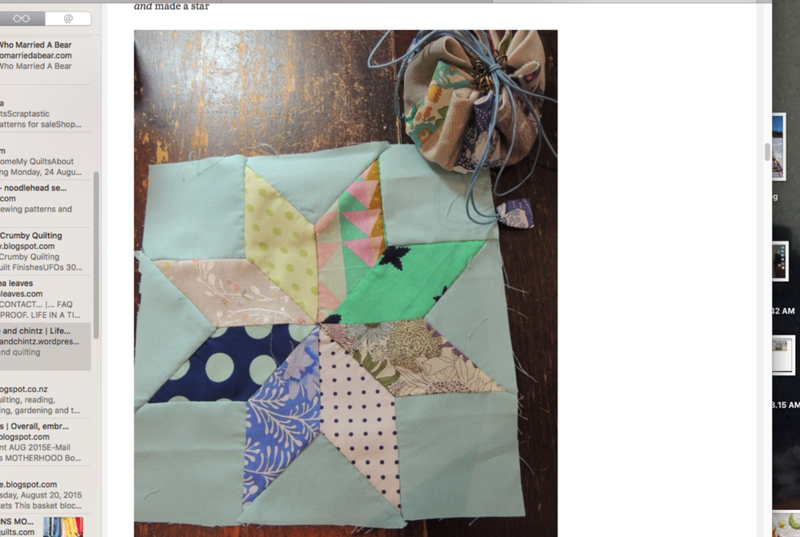 I'm also linking this hand sewn block up with Kathy's Quilts and Slow Sunday Stitching.